With the 2018 BIG3 regular season in the rearview mirror, it’s playoff time. The BIG3 returns to American Airlines Center on Friday night, with all eight teams in action. The first two games will determine the order of finish for teams 5 through 8, and then the two semifinal playoff games will determine which teams meet at Barclay’s Center in Brooklyn on Aug. 24 for the 2018 BIG3 Championship. 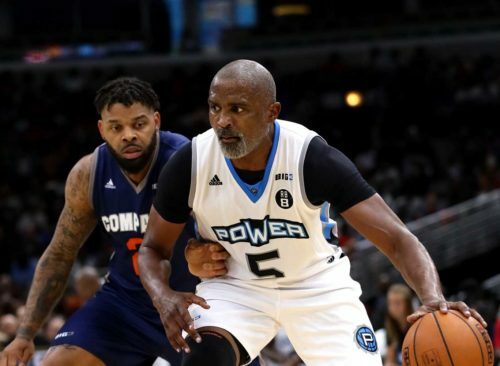 • Ricky Davis of the Ghost Ballers narrowly edged Power’s Corey Maggette for the scoring title with 137 points (17.1 ppg). • Reggie Evans of the 3-Headed Monsters won the rebounding title for the second straight season. He led with 87 last year and again with 82 this year. Evans also led the league in double-doubles for the second straight season, with five. • Tri-State’s David Hawkins, who led the league in assists with 27, is the only player to finish in the top three in scoring (third) and rebounding (third) and assists. He also led the league in steals (13). • DeShawn Stevenson won his second straight 3-point crown, though totals were smaller than last year. In 2017, Stevenson sank 34 3-pointers. This year he led the BIG3 with 19. • Power’s Chris “Birdman” Andersen led the league in blocks with 11. • Four players tied for the lead with four 4-pointers: Ricky Davis, Baron Davis, David Hawkins and Nate Robinson. In all, 12 players this season made at least one 4-pointer. This is a rematch of the Week 3 game that was the Ball Hogs’ lone win of the season. Co-Captain DeShawn Stevenson had a game-high 21 points, including five 3-pointers, as the Ball Hogs won 50-40. Newcomer Jermaine Taylor had his BIG3 coming-out party in this game with 15 points. Carlos Boozer, who had four double-doubles during the season, led the Ghost Ballers in the first meeting with 17 points and 11 rebounds. Ricky Davis – who ended up winning the BIG3 scoring title – had 12. This is a rematch of a Week 4 game that was notable for two main reasons. First, Trilogy came away with a 52-39 win – the defending champs’ first win of the year after an 0-3 start. 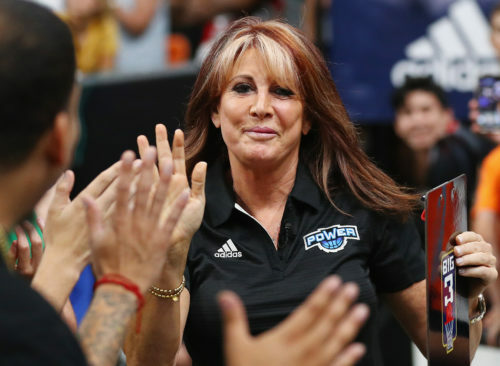 Second, it marked the first-ever BIG3 player ejection, when the Killer 3s’ Metta World Peace got the heave-ho after punting the basketball into the stands in frustration over a call. Trilogy’s Al Harrington led all scorers with 19. Derrick Byars – who had been acquired via trade from 3’s Company a day before the game – scored 13, including the game-winning 3-pointer. Three players scored in double figures for the Killer 3s in the game: Josh Childress (14), Stephen Jackson (11) and Alan Anderson (10). Power, the top seed entering the playoffs, looks to avenge its only loss of the season, a 50-46 decision in Week 3. The game was a classic back-and-forth thriller right up until David Hawkins won it for Tri-State on a 3-pointer. Hawkins, who scored 18, was one of three Tri-Staters in double figures – Nate Robinson and Jermaine O’Neal each had 12. Most of Power’s scoring came from one source – captain Corey Maggette set a new BIG3 single-game record with 34 points. … Power led the league this season in points for (399) and fewest points allowed (326). … Three Power players hit a pair of game-winning shots this season: Maggette, Chris Andersen and Cuttino Mobley. … Two Tri-Staters hit a pair of game-winning shots this season: Hawkins and Robinson. The 2/3 playoff matchup is a rematch of a Week 5 thriller in which the 3-Headed Monsters came away with a 50-47 win over 3’s Company. 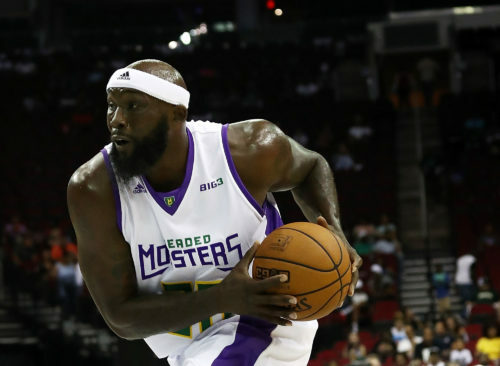 It had looked as if this would be the Monsters’ first loss of the season, but Jamario Moon – seeing his first action of the season – became the first player in BIG3 history to hit a game-winning 4-pointer. Moon led all scorers with 24, on 8-of-9 shooting, and he’s been a key member of the 3-Headed Monsters ever since. Reggie Evans had 10 points and 7 rebounds in the game. Mahmoud Abdul-Rauf had 8. Andre Emmett paced 3’s Company with 18. … Emmett has been on a tear of late, scoring 63 points in the last three games. … Evans, who just missed the BIG3’s first triple-double last week, once again led the league in rebounding and double-doubles.